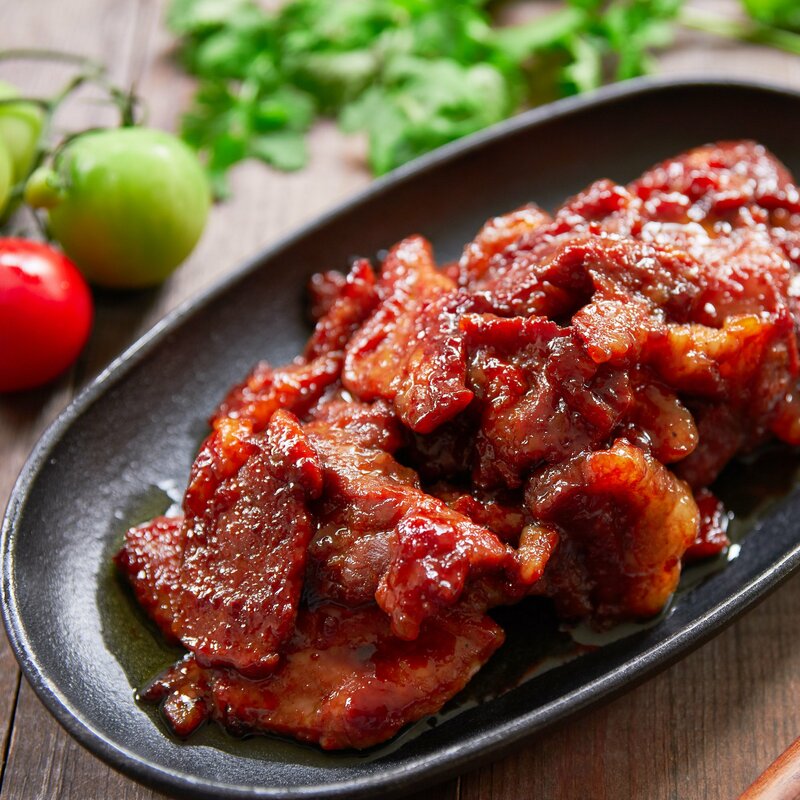 With an addictive savory sweet cure that's redolent of garlic, Tocino is a Filipino breakfast staple that's one of the key components of Tosilog. For this all-natural version, I've replaced artificial colors and preservatives with annatto seeds and juice. Tocino means “bacon” in Spanish and originally refers to cured pork back fat. But Spain spread its culinary seeds around the world and as a consequence, there are vastly different versions of this cured meat found across the Caribbean, Latin America and Asia. 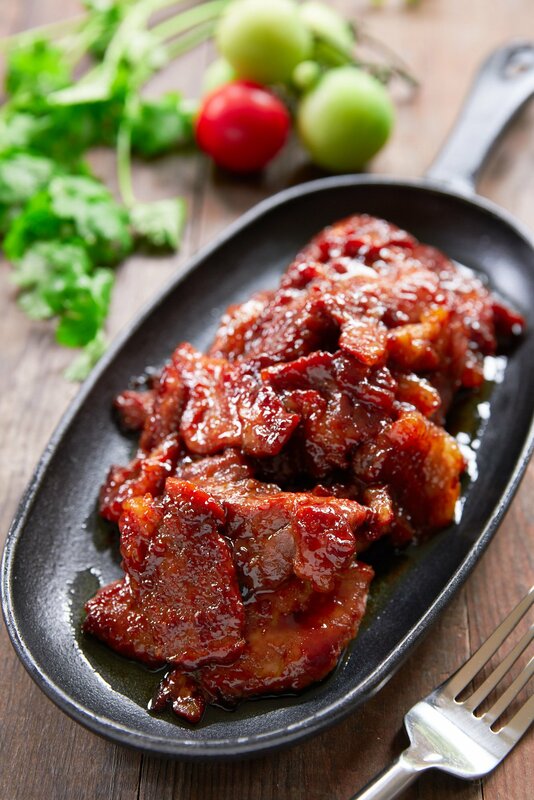 Perhaps the most famous of the bunch is a version of Tocino that evolved in the Philippines. 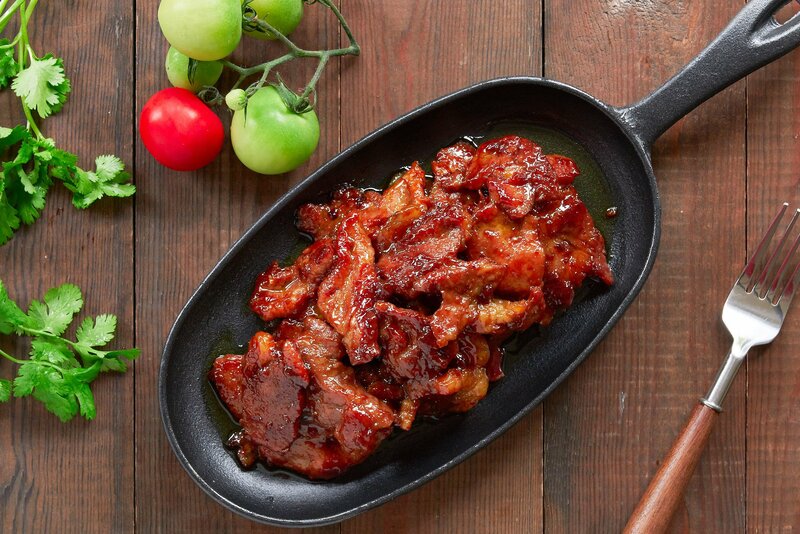 A culinary mashup of Chinese Char Siu and Western bacon, this remnant of the Spanish colonial era has evolved into a uniquely Filipino food that masterfully balances sweet and savory tastes. It makes for the perfect breakfast accompaniment to sunny side up eggs and rice, but it’s also addictively good during happy hour as a pulutan alongside a frosty bottle of beer. 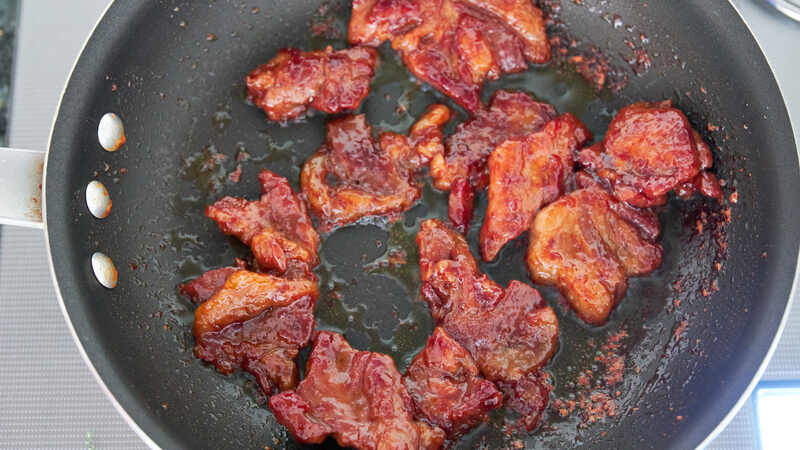 The cut of meat you use for Filipino Tocino is a matter of personal preference. I like using pork shoulder because it’s meaty, and yet it has enough fat to keep the pork from getting dried out. If you want something fattier, pork belly will work. Otherwise, if you want to go leaner, pork tenderloin will work, though you’ll want to be careful not to overcook it. Pink Salt (a.k.a. Prague Powder or Curing Salt) is a mixture of table salt with sodium nitrite. 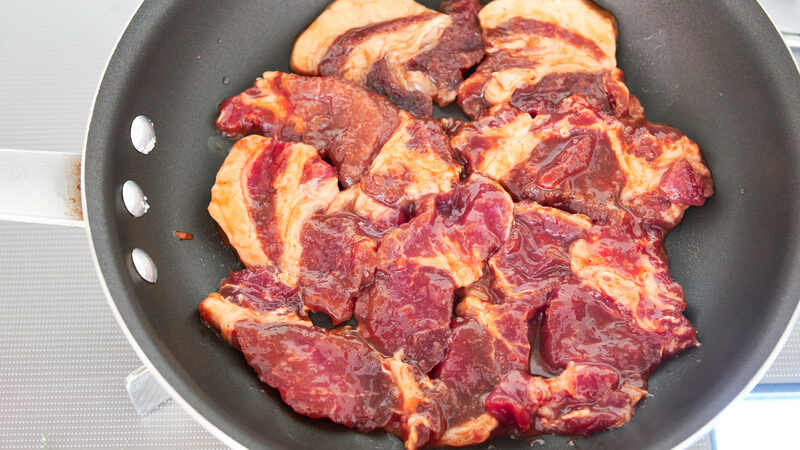 It’s a food additive used to cure meats, which inhibits the growth of microbes while giving the meat a unique taste and a pinkish red color (even after being cooked). It’s not the easiest ingredient to find, which is why I’ve found a common alternative that works just as well. Celery is loaded with nitrates, and although it has one extra oxygen atom than a nitrite, it has a similar effect on meat which makes it perfect for curing. To juice the celery, just grate a rib and then press the pulp through a tea strainer to extract the juice. Tocino isn’t meant to be fall-apart tender, but you don’t want it to be gristly or tough either. That’s probably why some recipes call for meat tenderizers, while others braise the meat before frying it. I wanted a simple natural solution which is why I ended up adding some kiwi juice to the curing brine. Kiwi contains an enzyme called Actinidain which breaks down collagen (the connective tissues in meat that can make it tough). Although there are other fruits (like papaya or pineapple) which contain enzymes that break down proteins, some of these are so powerful they will turn your meat into mush. I like using kiwi because it breaks down the tough bits while retaining the texture of the meat itself. It’s important to note that fruit enzymes are destroyed at relatively low temperatures, which is why it’s important to add the kiwi juice after the brine has cooled to room temperature. Tocino just wouldn’t be right without its signature red hue. Most commercial versions (and many home recipes) call for adding food coloring, but there are many good natural alternatives. I’ve used ground Annatto seeds(a.k.a. atchuete) to give my Tocino its scarlet hue. Beets will also work (either powder or juice) if that’s easier to find near you. One of the things that makes Tocino so addictive is the brine that it cures in. As it fries, the brine turns into a sticky glossy glaze that’s the perfect balance of savory and sweet. This is achieved through the addition of a generous amount of sugar to the brine. 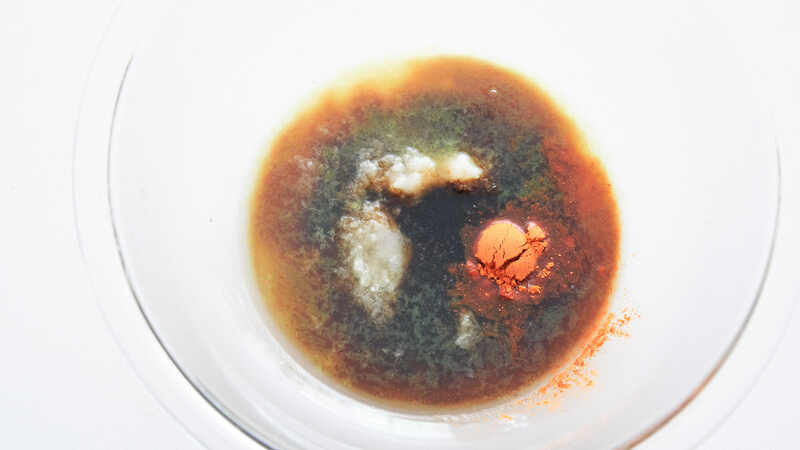 Instead of using white sugar, I saw this as an opportunity to add more flavor, which is why I use a blend of coconut sugar and brown rice syrup. The coconut sugar adds a wonderful nutty caramel flavor, while the rice syrup gives the Tocino a beautiful lacquer glaze. I love garlic, which is why there is a generous dose of garlic in my brine, but if you’re not such a fan, or you’re about to hop on a plane, you can cut back on the garlic. I’ve also added a bit of ground black pepper which gives the Tocino a nice kick at the end. Some versions also call for adding some anise-flavored liqueur. I’m not a huge anise fan, which is why mine doesn’t have any, but if that’s your thing, feel free to experiment. The sugar in the brine tends to burn, and you want to give the fat in the pork some time to render out. This is why I like to add the Tocino to a cold non-stick pan before starting it off over medium heat. 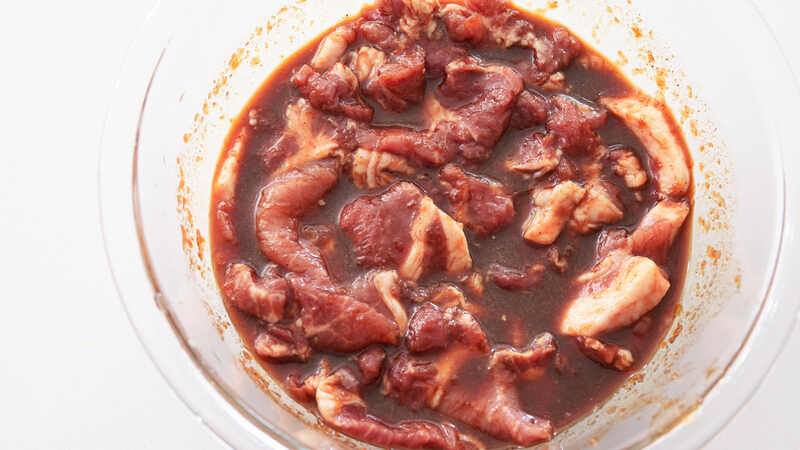 The slow increase of heat coaxes out some liquid from the pork, allowing you to cook the Tocino through while giving the fat some time to render out. Once the liquid boils off, the Tocino starts to caramelize, turning the brine into a beautiful shiny glaze that coats each morsel of pork. 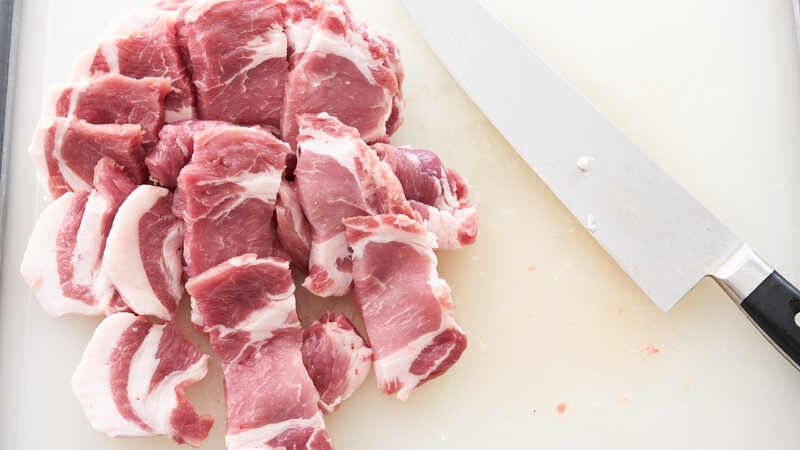 Slice the pork shoulder against the grain into 1/4-inch thick slices and then cut the slices into bite-size pieces. In a bowl, whisk together the coconut sugar, rice syrup, garlic, soy sauce, celery juice, salt, ground annatto and black pepper. Heat the mixture up in the microwave a bit if you're having trouble getting the sugar to melt. Let the brine cool to room temperature. Add the kiwi juice and then add the sliced pork. Put some gloves on and mix the pork into the marinade. Cover the bowl tightly with plastic wrap and refrigerate for at least three days or up to a week. To cook the Tocino, I recommend using a non-stick pan. 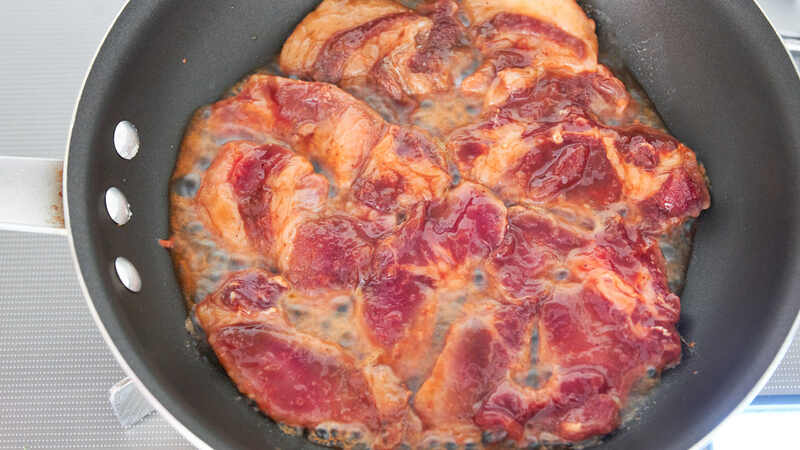 If your pork is fatty, you won't need to add any oil, but if it's lean, you can add a bit of vegetable oil. Line the pan with an even layer of meat and turn the heat onto medium. Some liquid will come out of the pork and start to boil. Start flipping the meat over to evenly glaze the pork with the sauce. Repeat until there is no liquid left and the Tocino is cooked through and starting to brown. I have some pink salt #1. How much would you recommend in lieu of the celery juice. Hi Max, that stuff is potent, so you shouldn’t need much. 1/8 of a teaspoon should be plenty for this recipe. Hey! Not really related to this post but I’m just curious… are you Filipino? Hi Victoria, nope I’m not Filipino, but I go there there a few times a year for work and love the food!